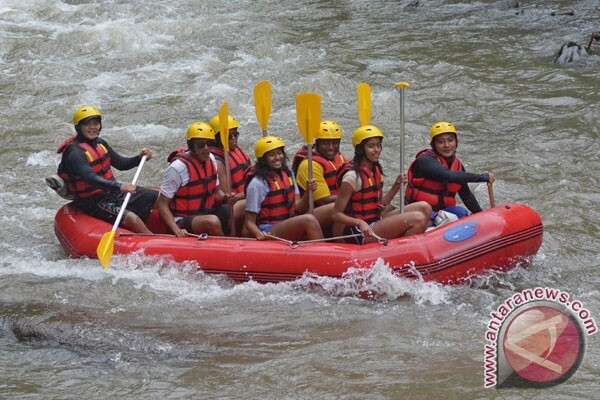 Former US president Barack Obama enjoyed rafting down the Ayung River, which is a popular tourist spot in Bali, Indonesia. Barack and Michelle Obama, along with their daughters Sasha and Malia, arrived at Banjar Dinas Karang Dalem I, Bongkasa Pertiwi Village, Abiansemal Sub-district, Badung District, at 11 am local time on Monday. The location is a starting point for the rafting expedition. Several police and military officers secured the site. Obama was spotted wearing a white T-shirt, sunglasses, a red velvet jacket, and a yellow helmet. On the occasion, Michelle and her daughters were spotted paddling down the Ayung River. The rafting ended at the rear side of the Four Seasons Hotel in Sayan Village, Ubud, a hotel near the Ayung River, where Obama and his family are staying. Obama and his family had earlier visited the Agung Rai Museum of Arts in Ubud and the Jatiluwih rice fields.